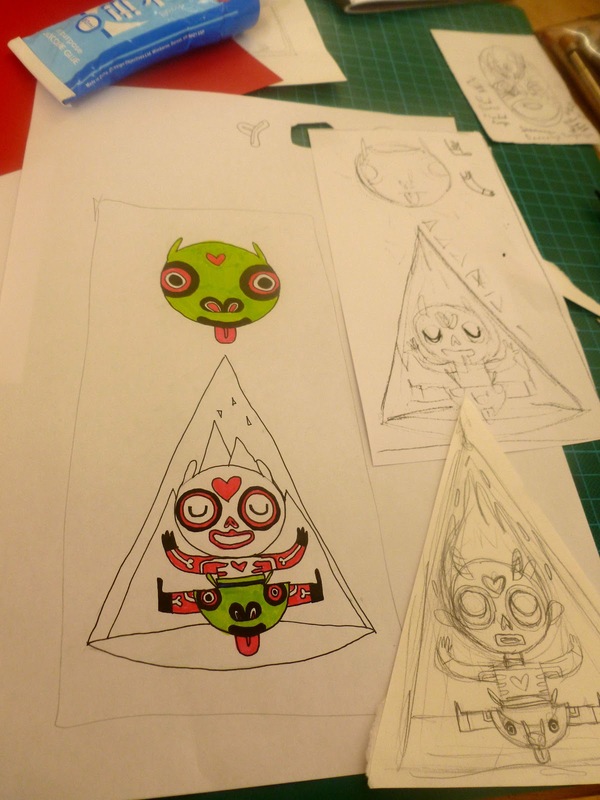 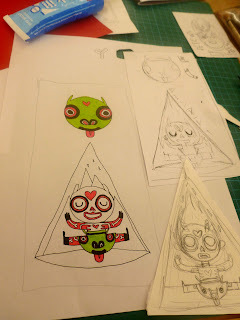 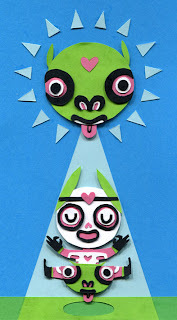 Photos of the process of silk screen printing a paper toy that I made for my current project. So instead of using an existing image for my business cards I wanted to make a new one. Unfortunately I didn't really like the outcome of this one too much so I started again. 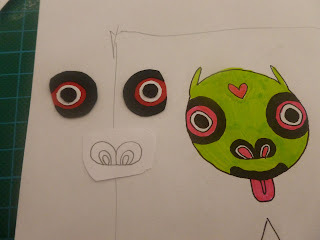 The colours were going to be the same as the previous cutout, red, yellow, white and black but I only had green and pink felt-tip pens so I used them instead and in the end they looked better. 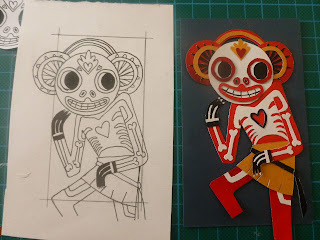 A few photos of the process of turning my drawing into a screen print. 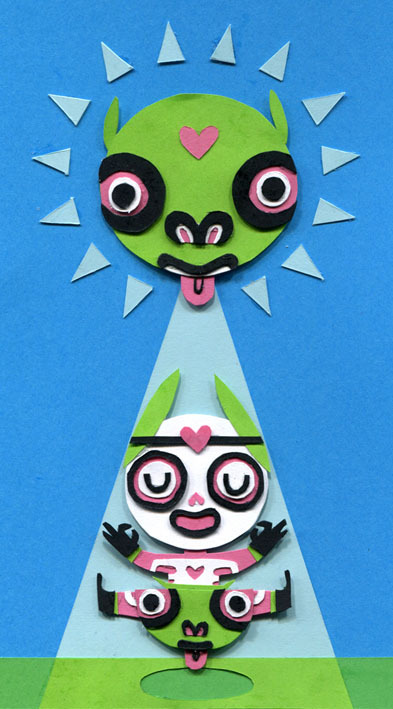 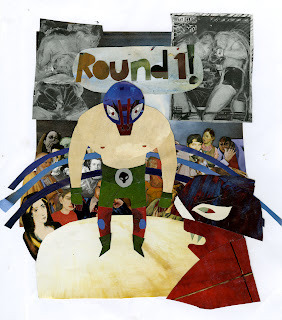 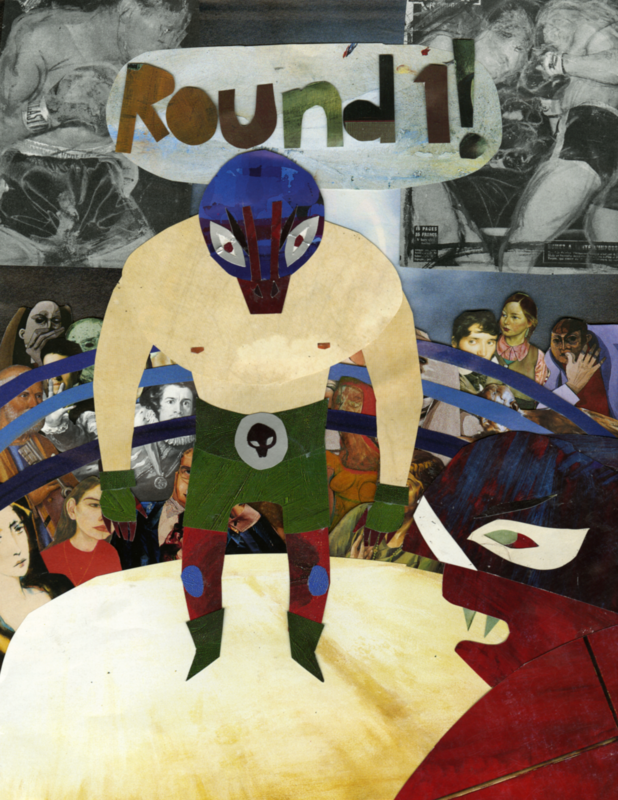 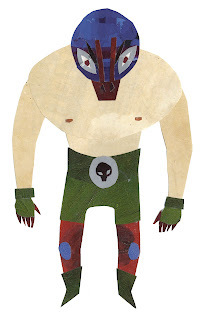 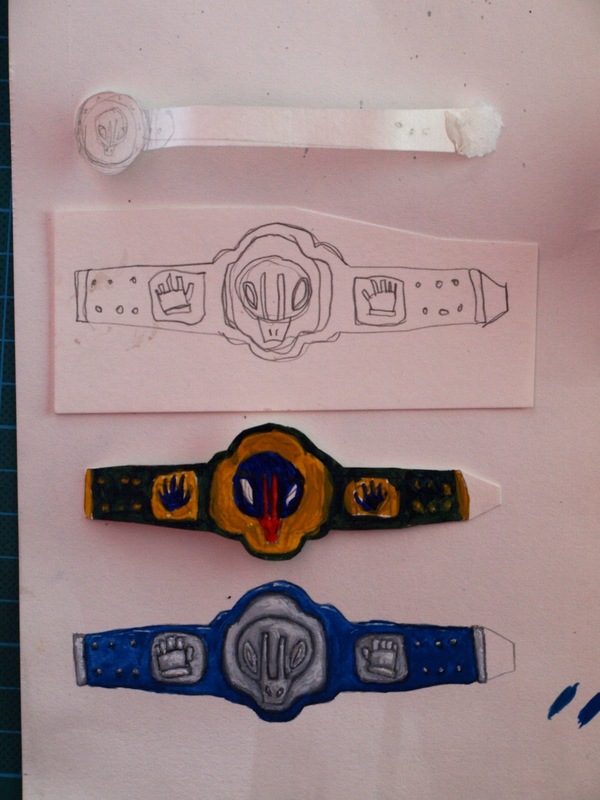 Over the summer I started to turn my collage wrestler (above) into a papertoy but only got as far as his bottom half. 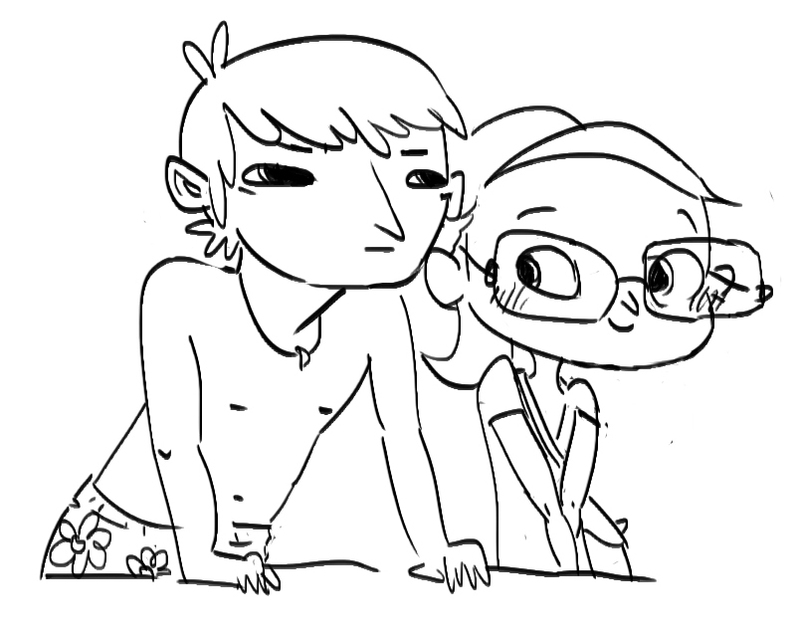 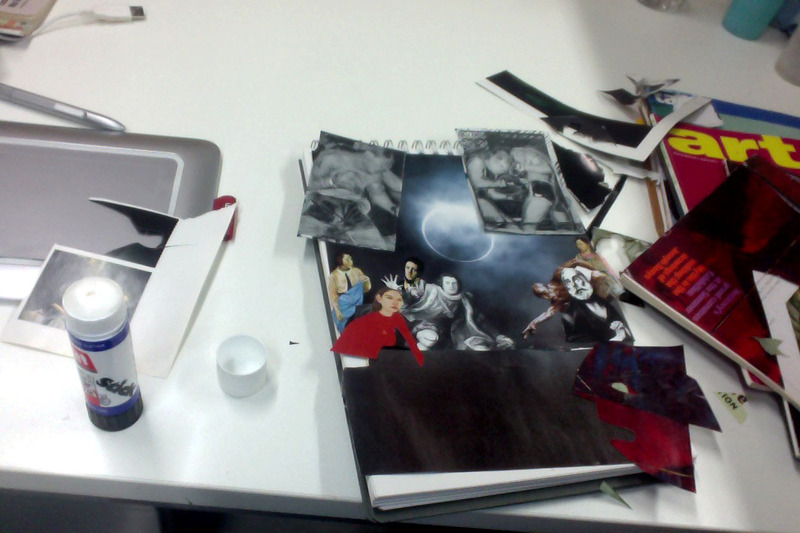 I think I have made about 10 torsos so far and still haven't found the right one (sigh). My steps to making a papertoy. 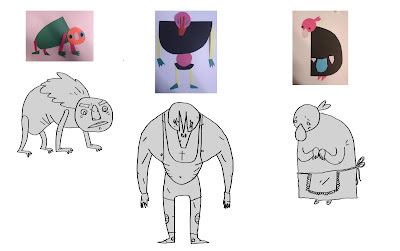 I love how every time I approach this character in different media he is constantly changing and improving. 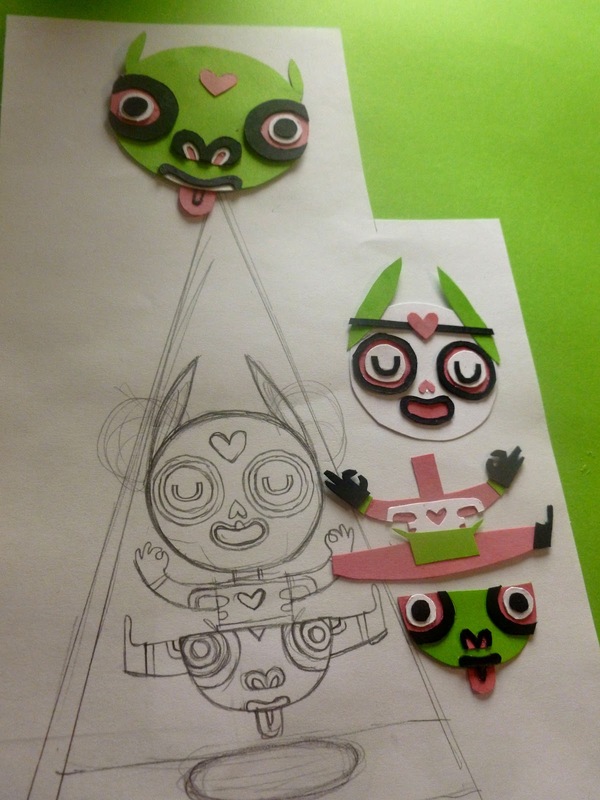 This would be the forth stage; arranging shapes, drawing, collage, 3D papertoy. This is a collage that I did at the beginning of the summer hoping for sun, didn't really work. 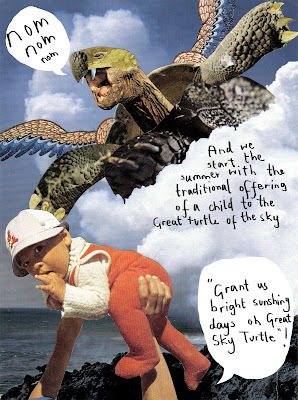 Love National Geographic its a great resource for collaging especially the old editions with their grainy photos. 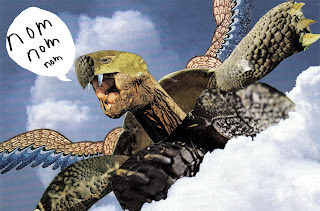 Though knowing that in the original photo of the tortoise it is mating does make him seem less imposing. 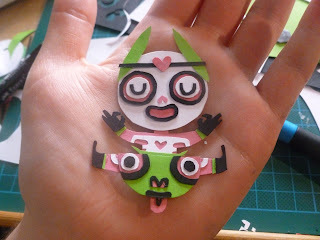 As I am very excited for Pixar's new film 'Brave' I wanted to make a papertoy of one of the characters. 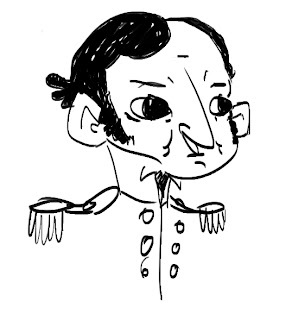 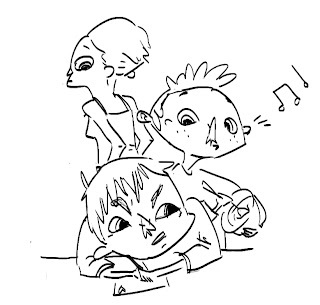 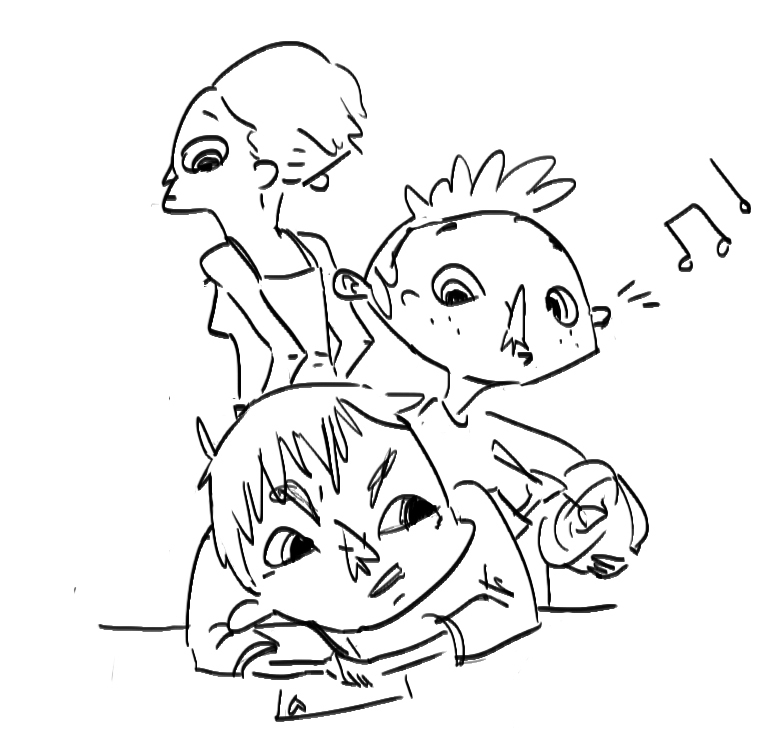 So I chose to do the Triplets Hamish, Hubert and Harris. This is the first rough blank papertoy, I've got a few adjustments to make before I colour it. For my final module of my second year I did a workshop along with Ben Morgan, Holly Liminton and Jo LB at a local secondary school. 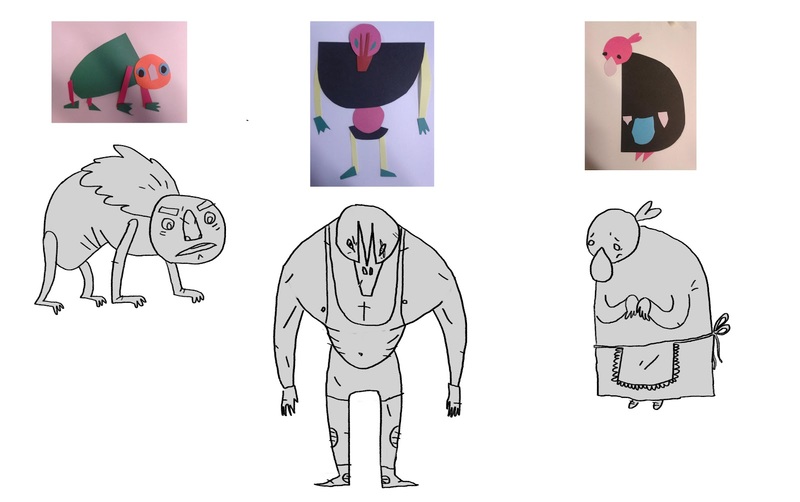 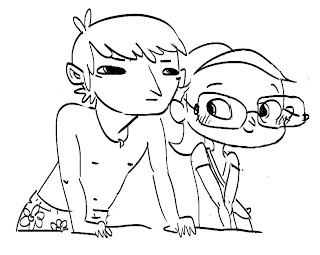 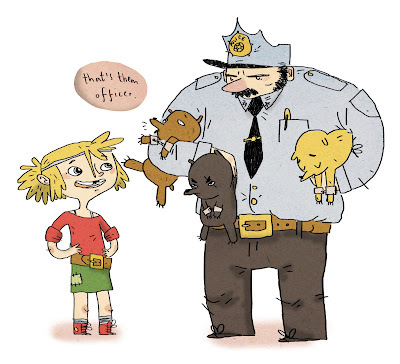 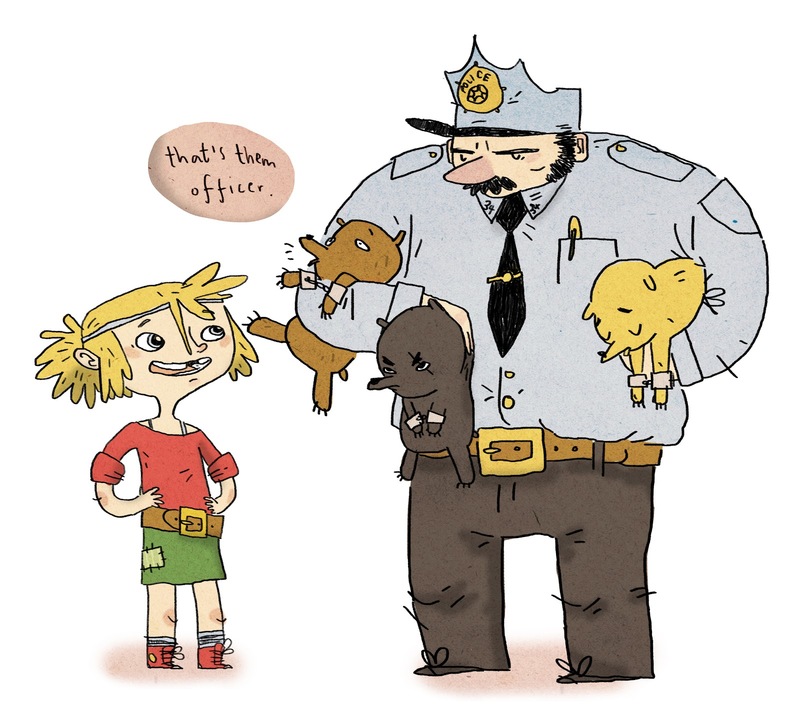 This first section of this workshop was based on Viviane Schwarz's Character Design Workshop. 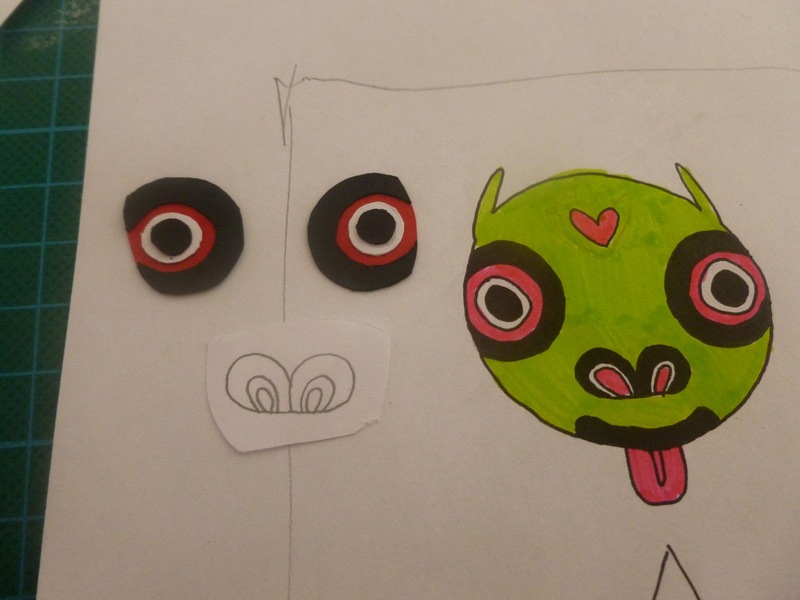 These were made before as an example. 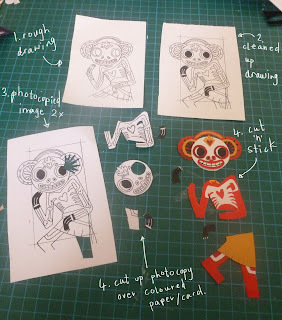 Cutting out and arranging pieces of card to make a character then drawing and developing that character. 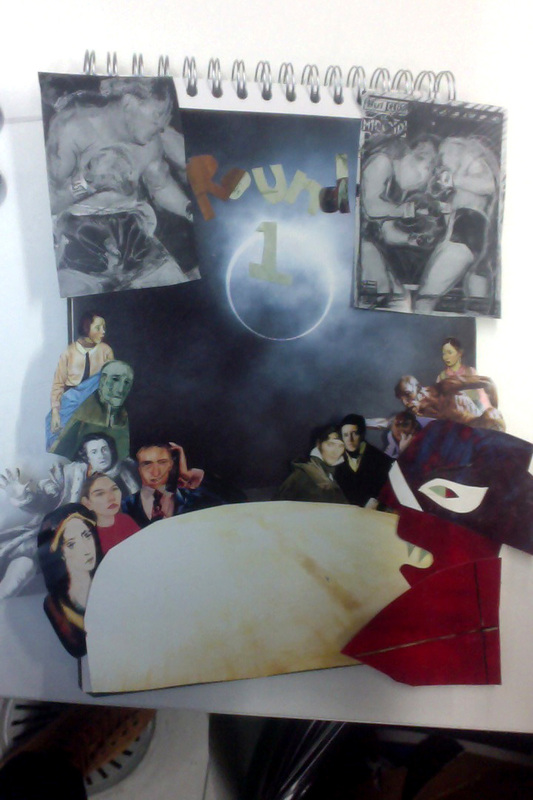 I then built a background to put my character onto to show the children what we would be doing as the next step. 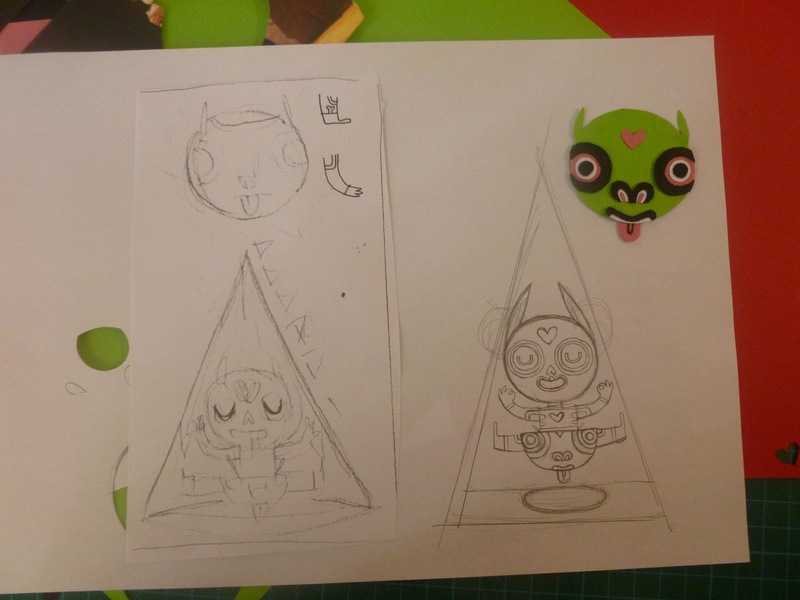 I chose my favourite character and developed it again with collage. I then made a background to stick him on top of. 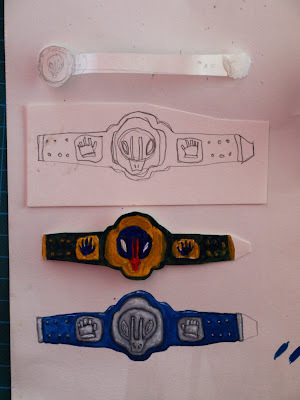 This is the first time I have worked with children and it was definitely worthwhile, not only do I feel more confident but working in a group made me more critical of my work and working processes.